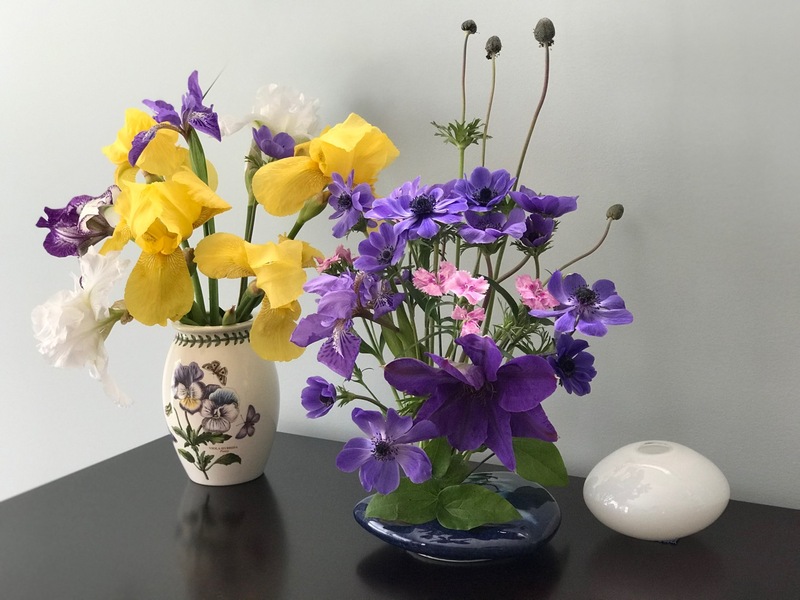 After another busy week of non-gardening duties, I stole a few minutes here and there and now at day’s end, Monday’s vase(s) finally are ready. 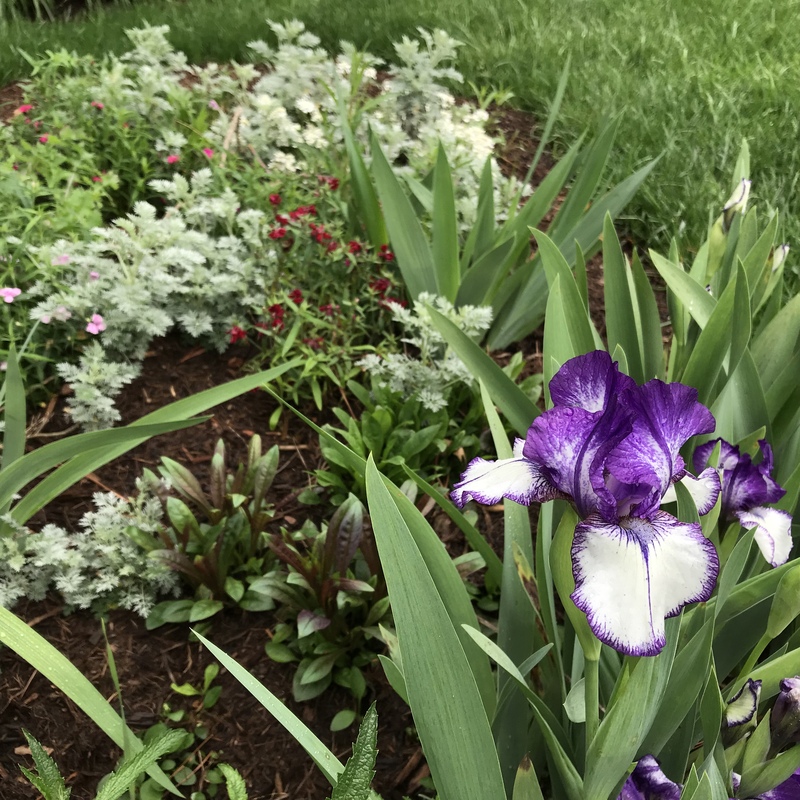 The colors of the late April garden are rich and deep; the flowers offer plenty of fragrance. 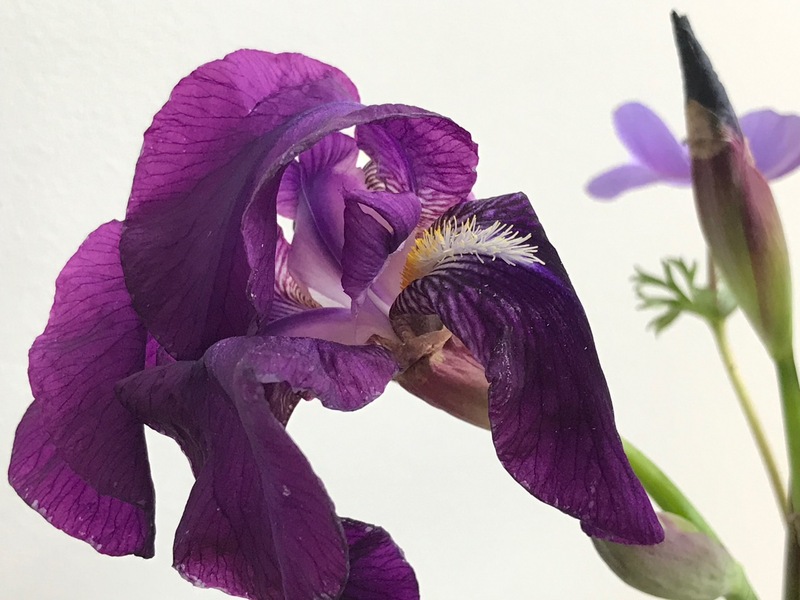 My irises are not blooming as well as they should, but I love each new one that opens. 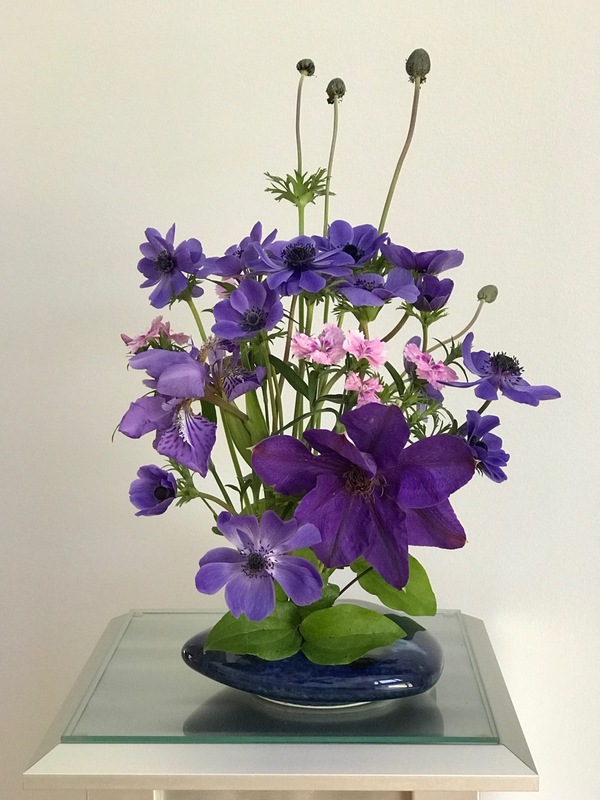 The purple anemones that survived the fall planting and winter rains are seriously beautiful, but there should be many more. 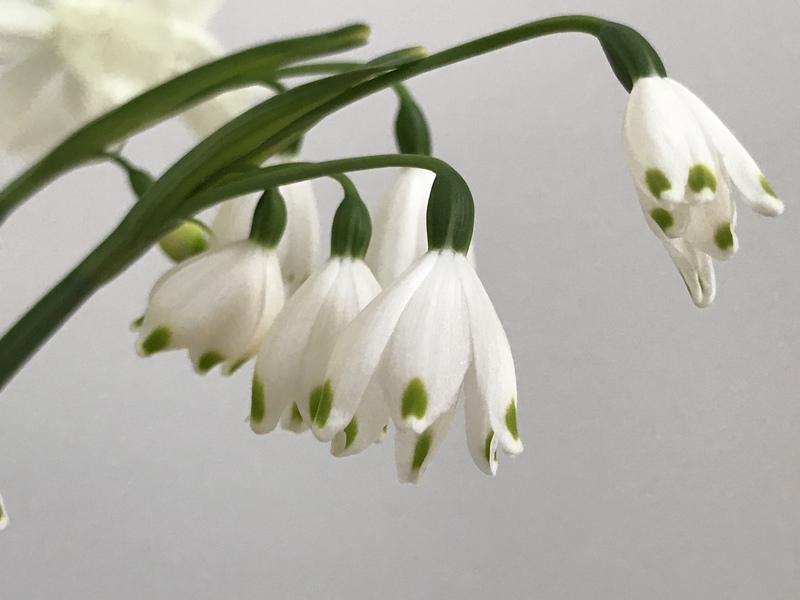 None of the white ‘Bride’ seem to have taken hold. 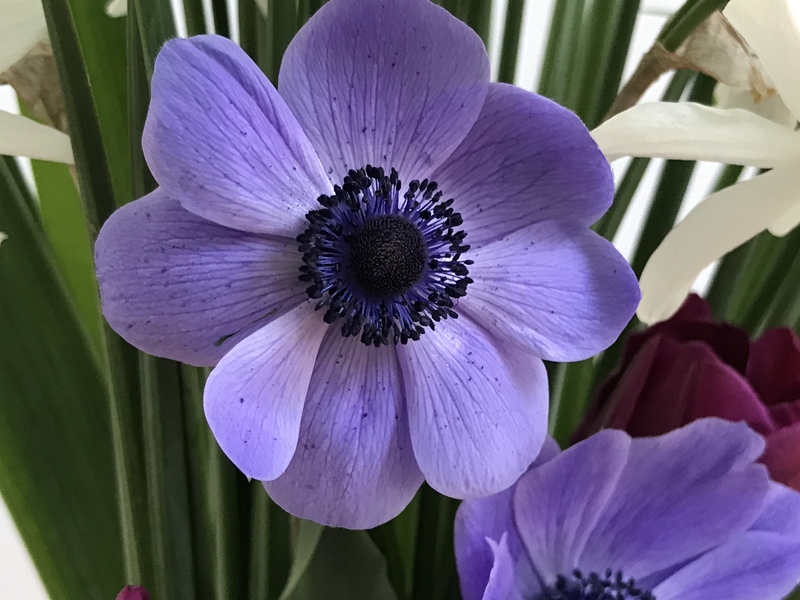 This is anemone is an oddity. 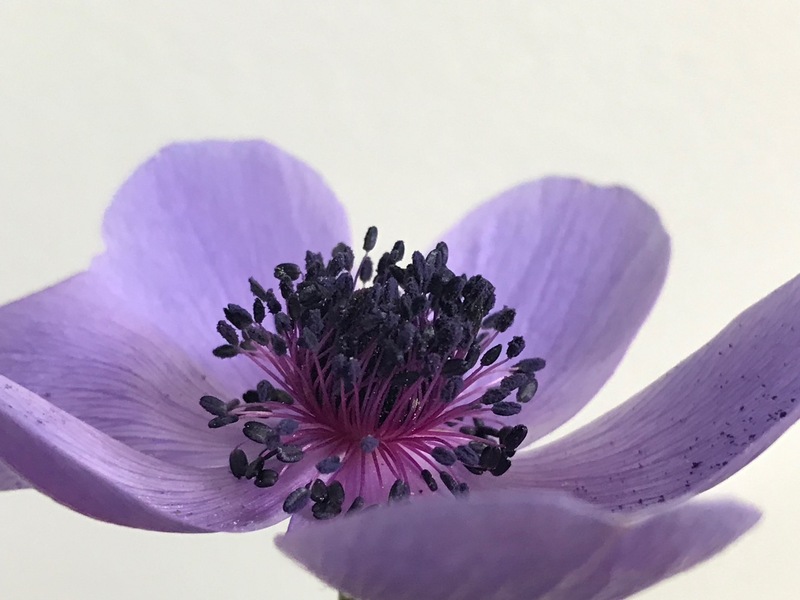 This Anemone De Caen ‘Mr Fokker’ has a crown of stamens on both sides. 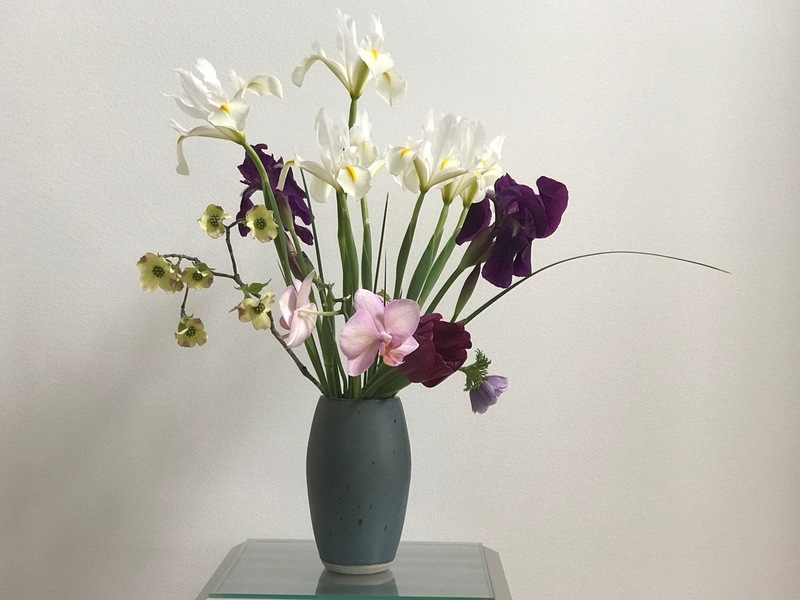 Portmerion Botanic vase, made in England. 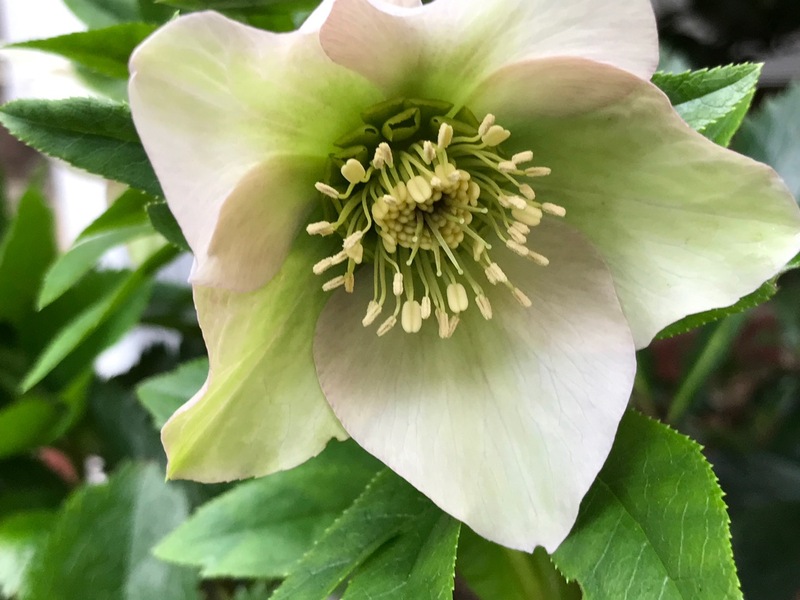 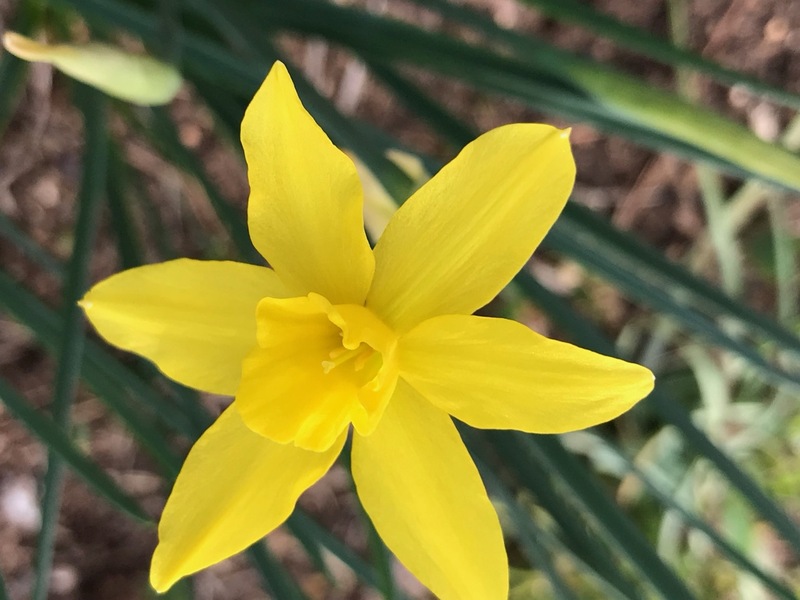 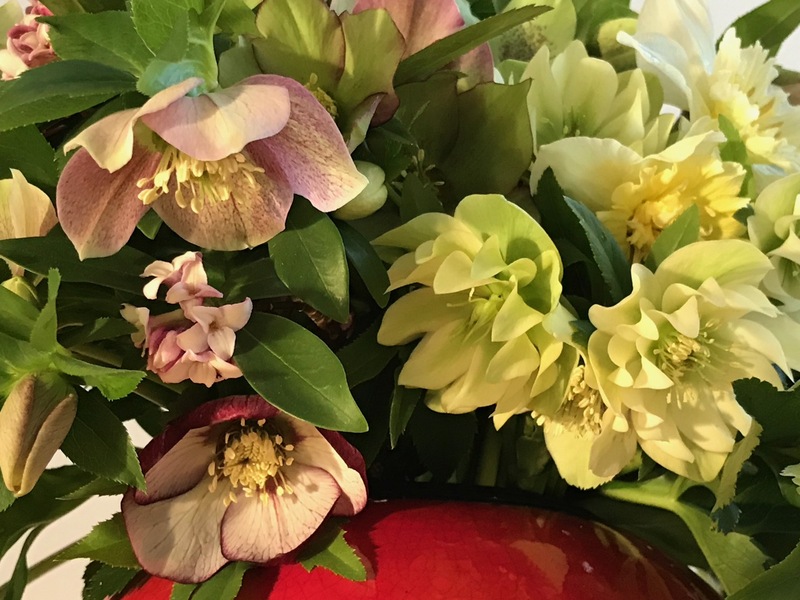 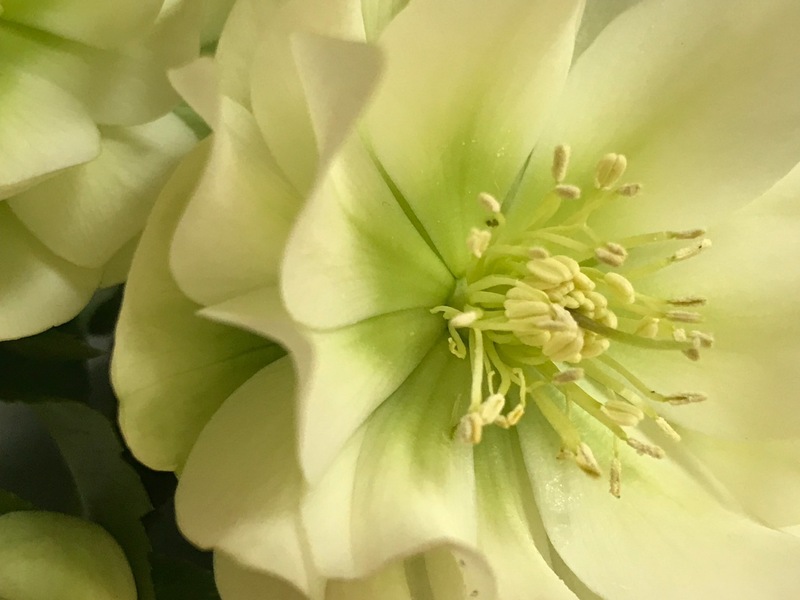 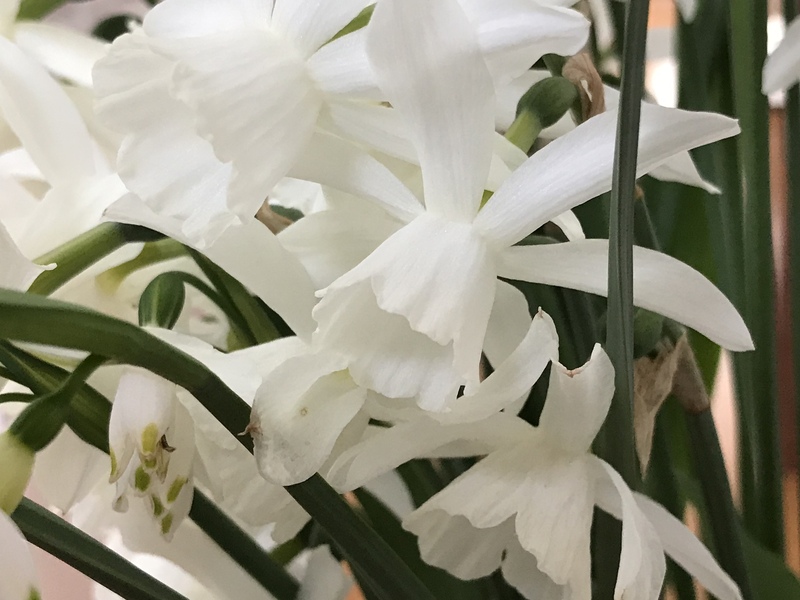 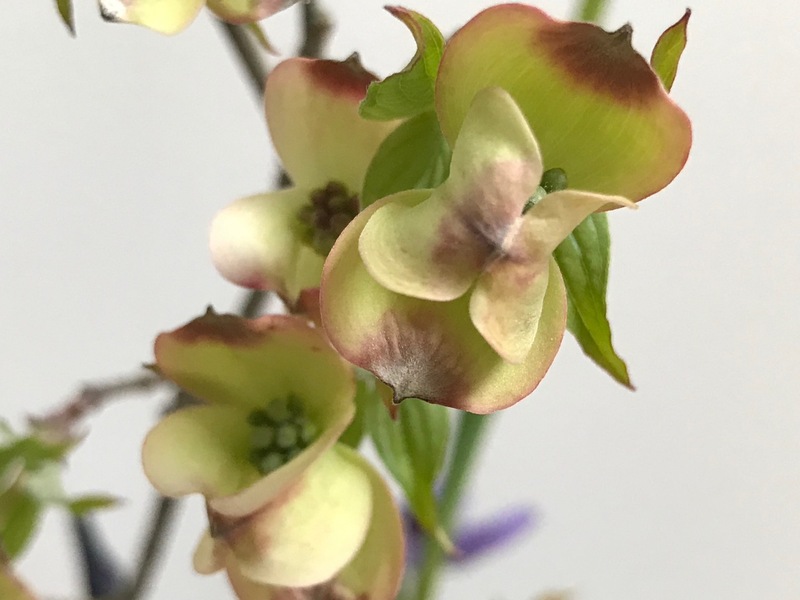 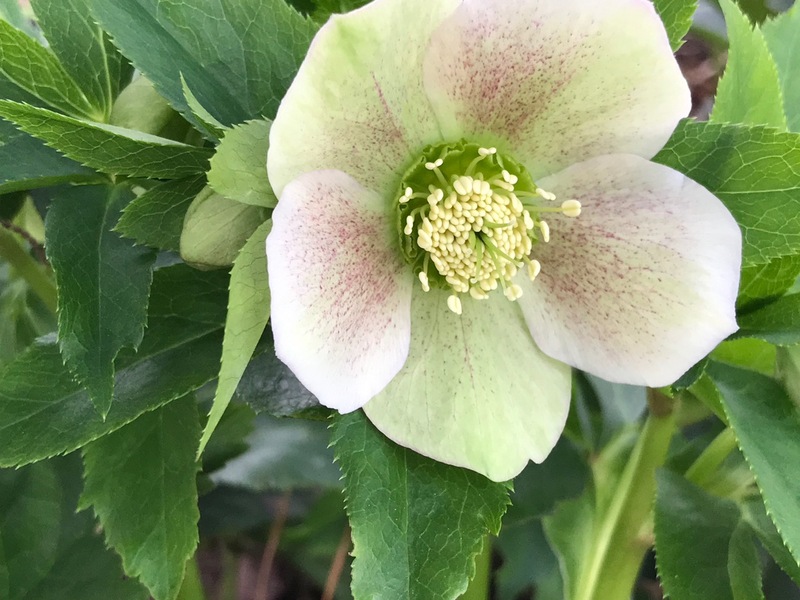 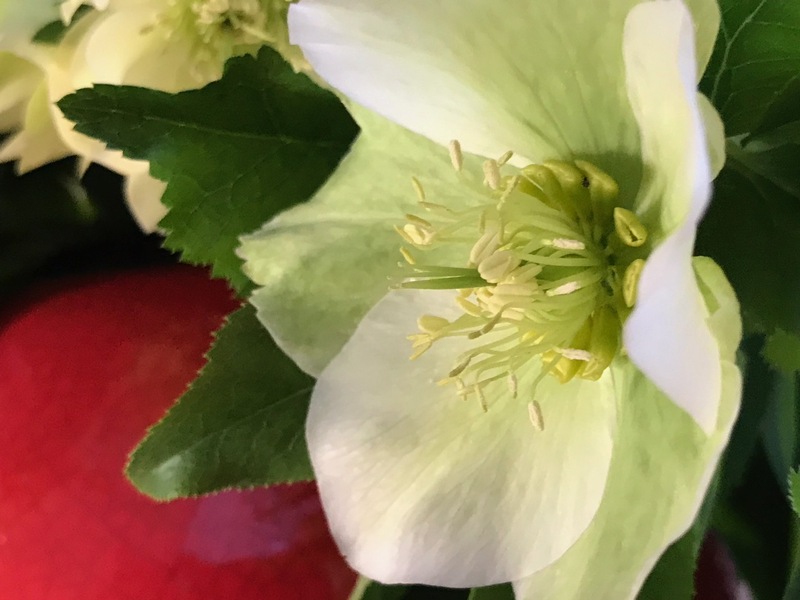 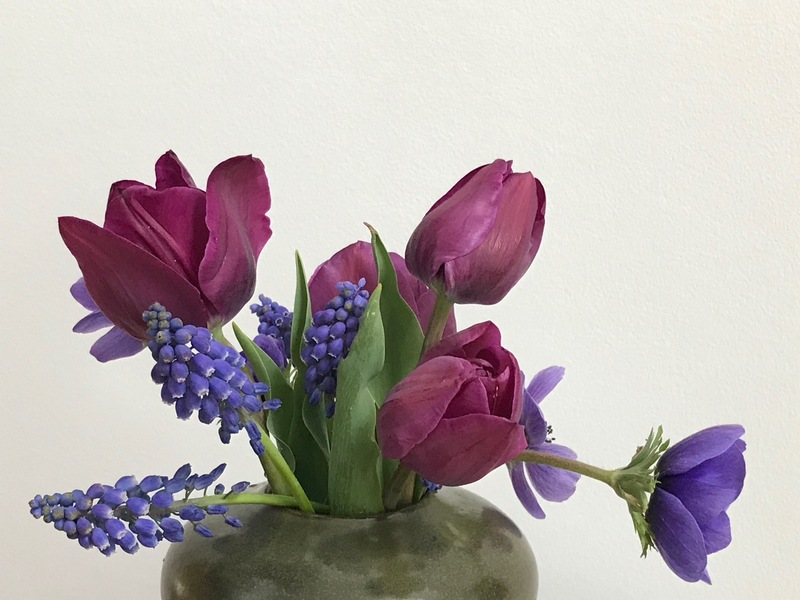 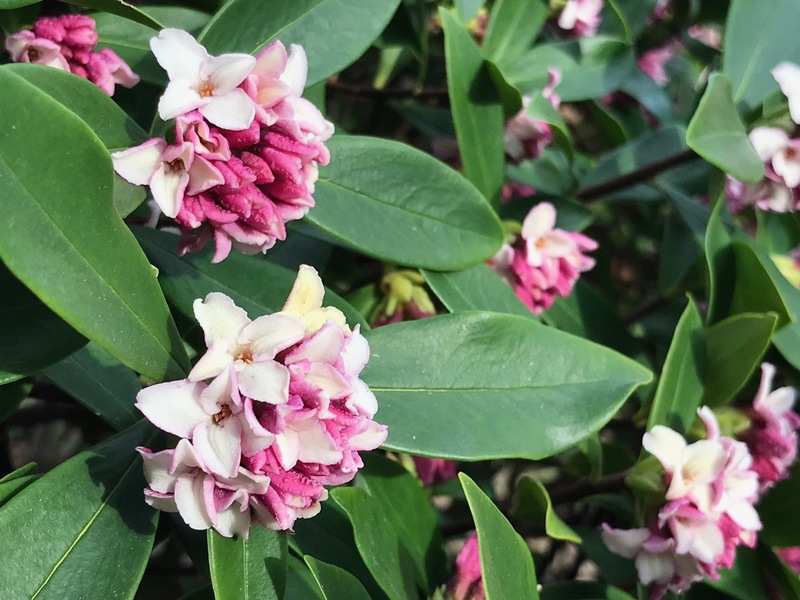 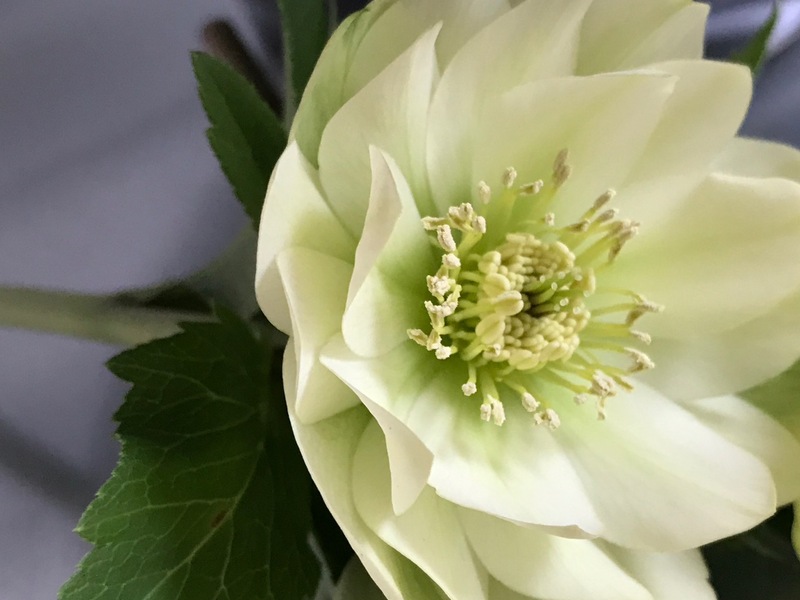 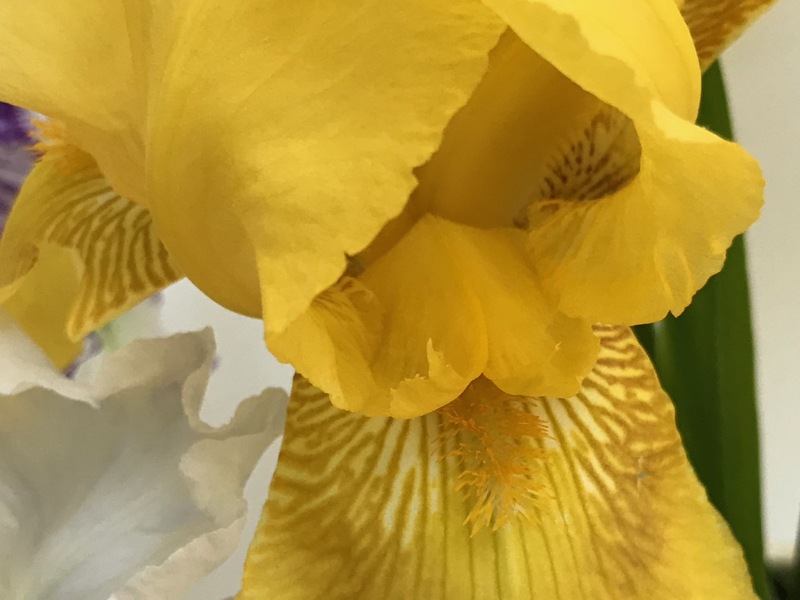 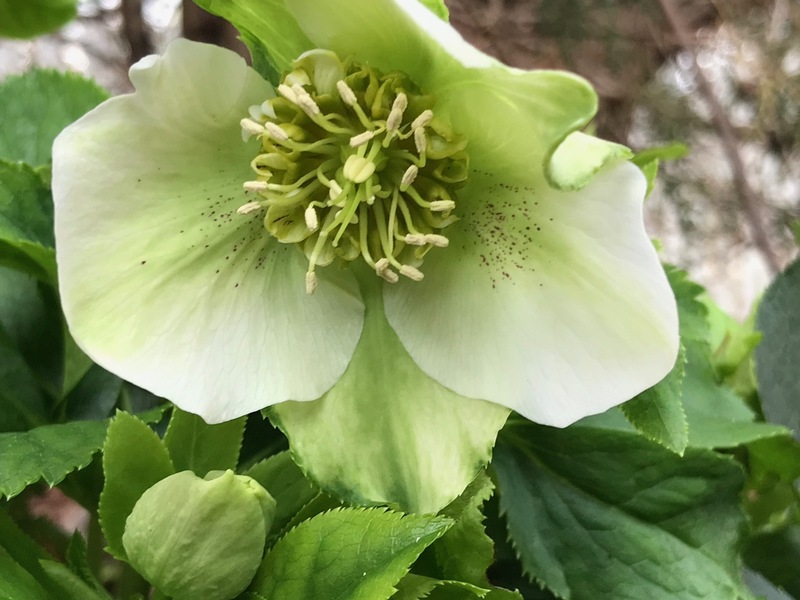 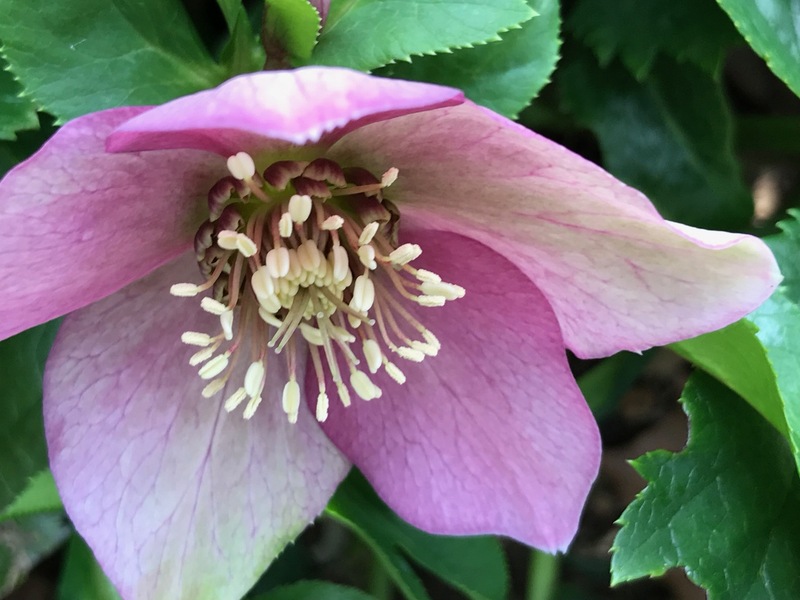 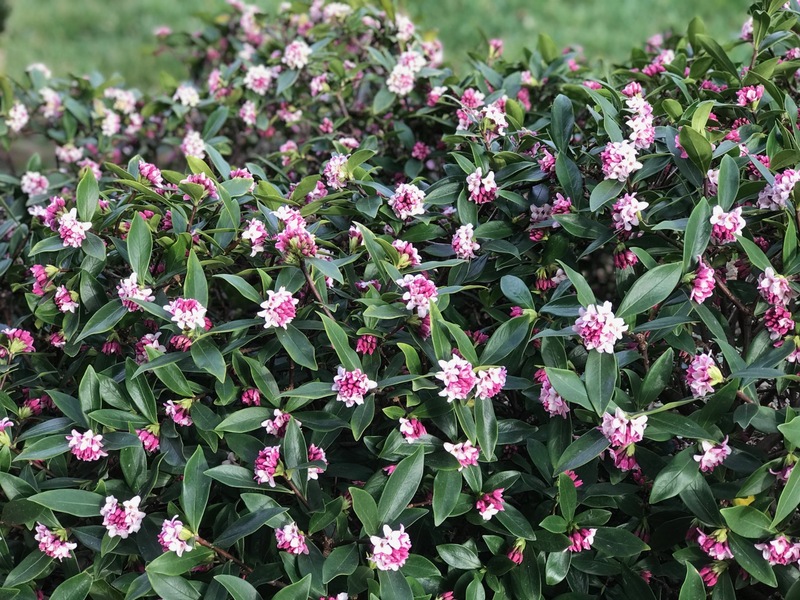 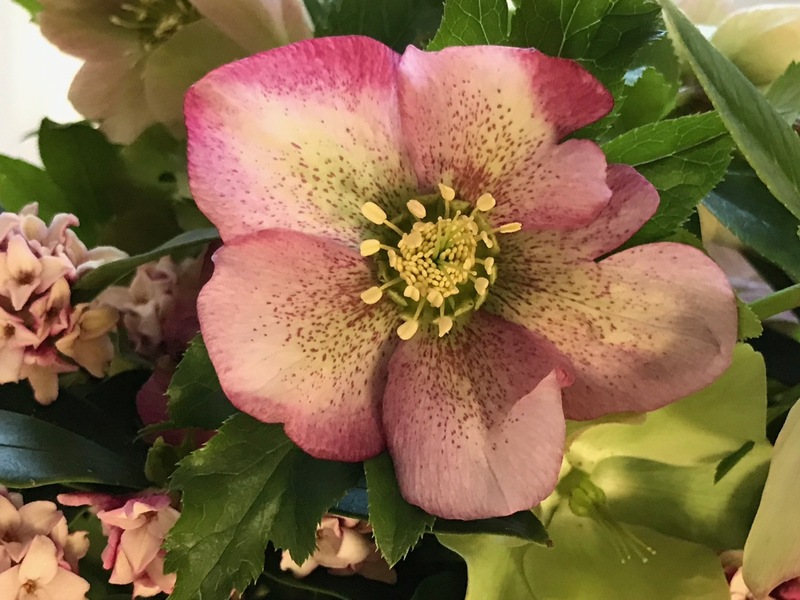 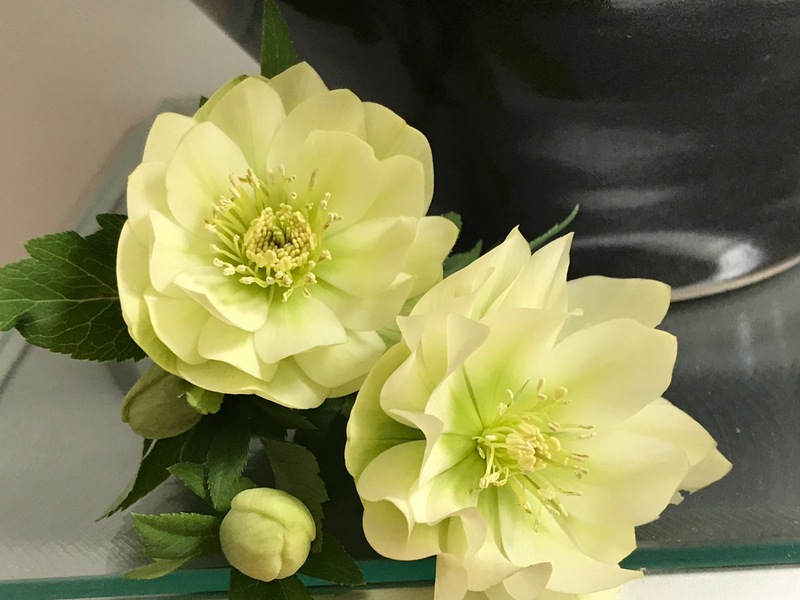 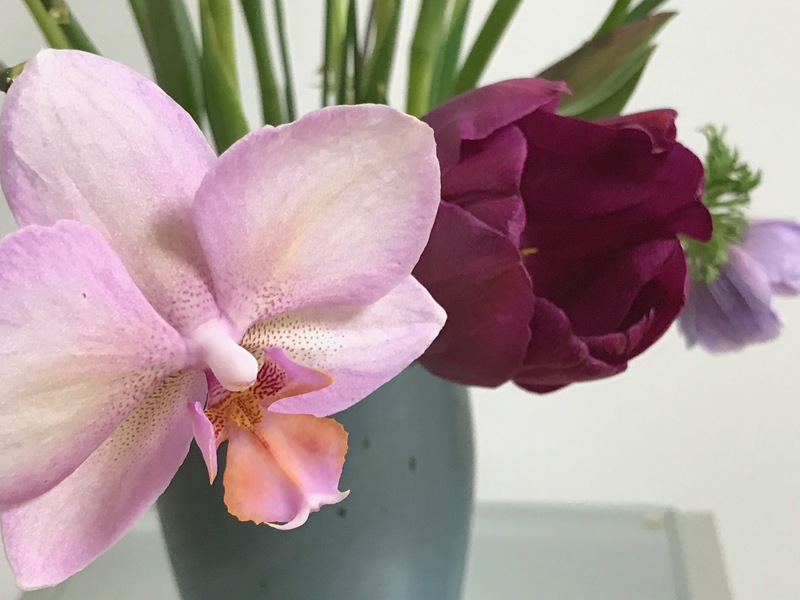 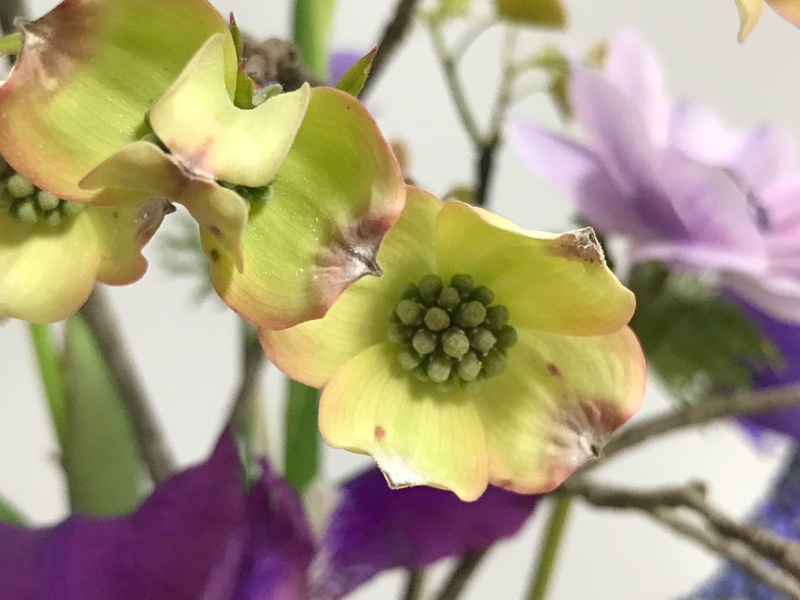 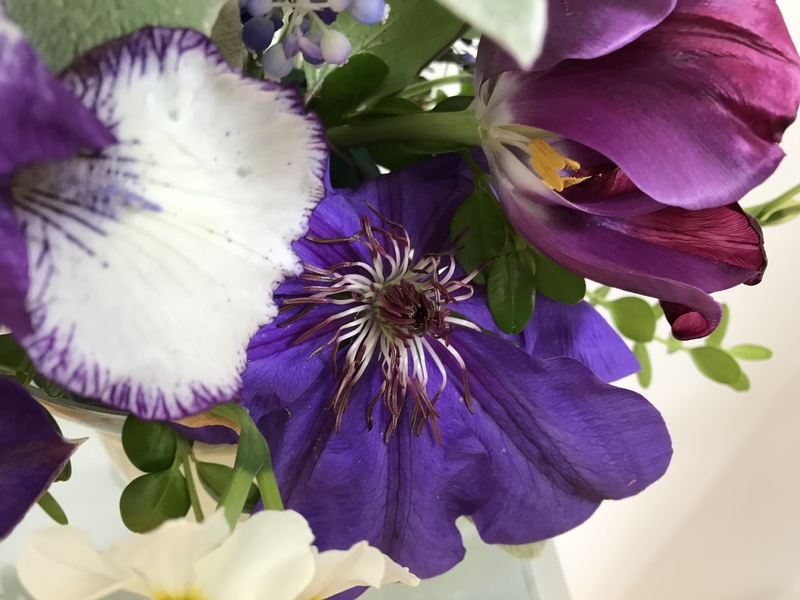 As we continue to deal with medical issues there is very little time for the garden or keeping up with blogging friends, but I sneak a peek at your posts when I can. 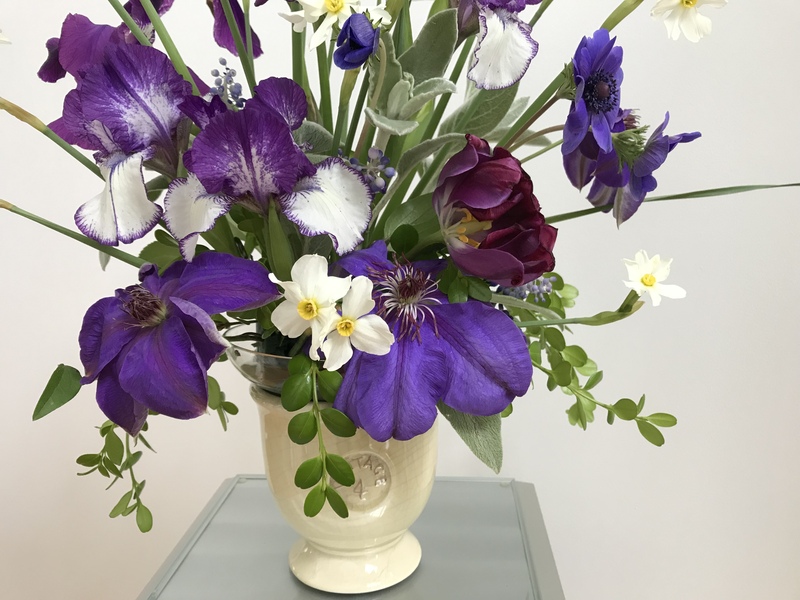 We are finally back at home which makes us happy. 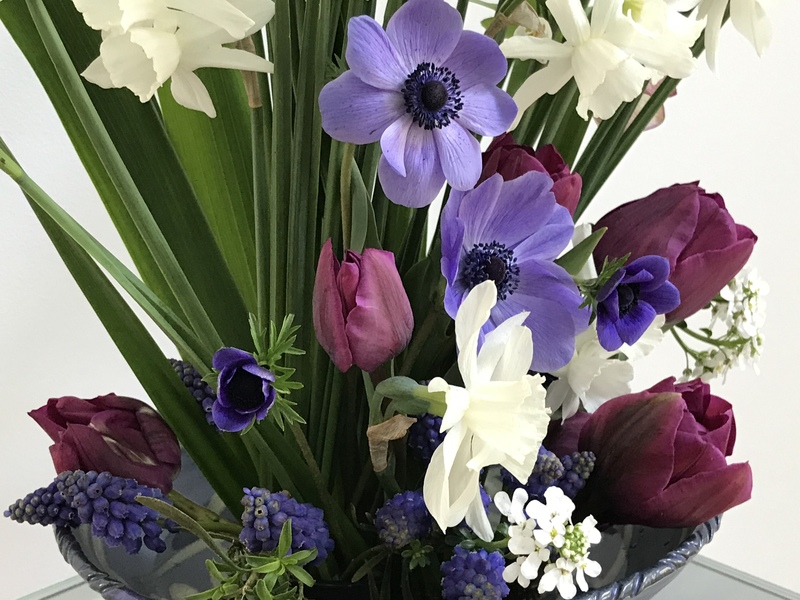 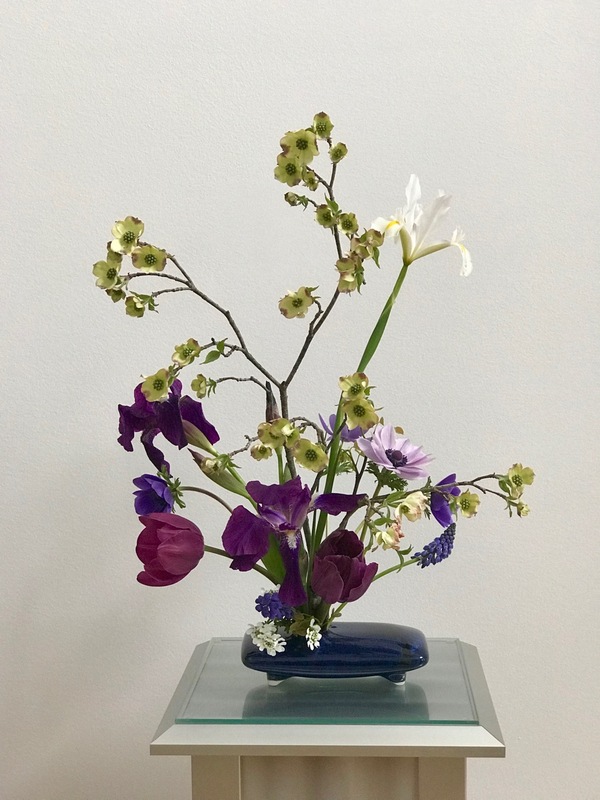 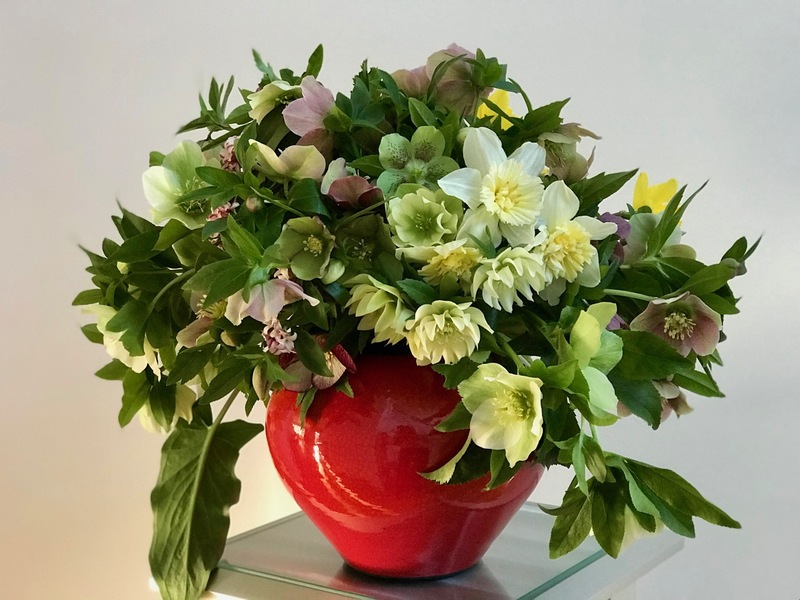 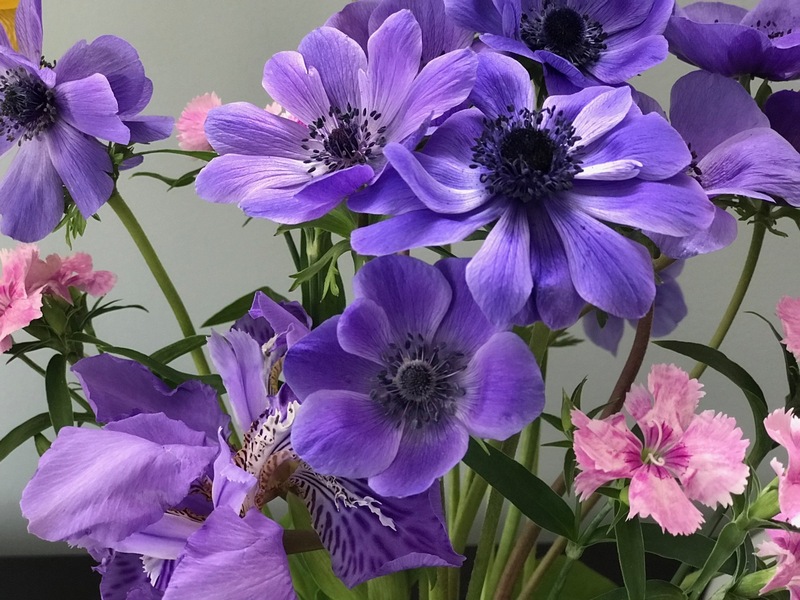 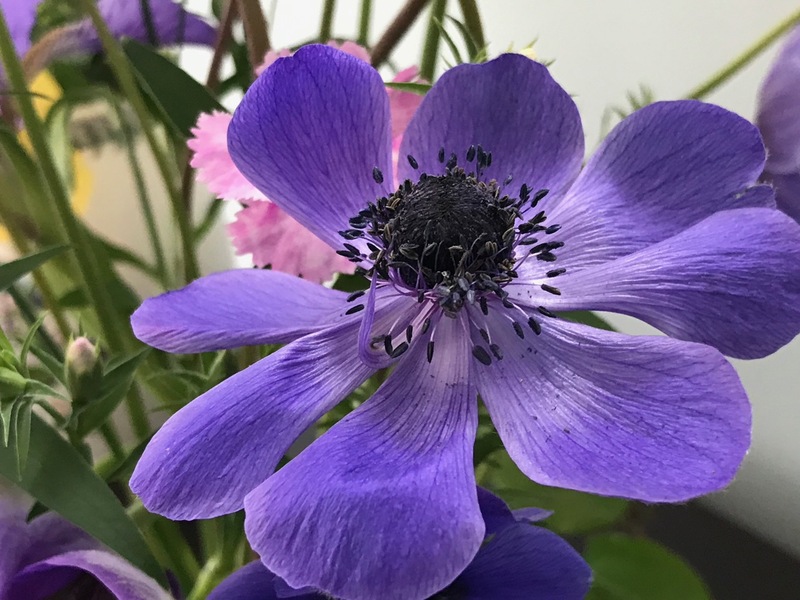 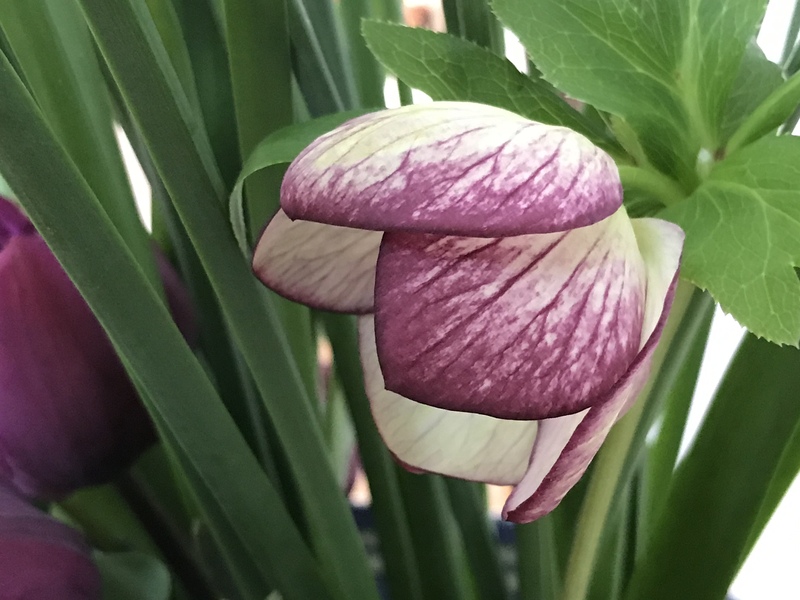 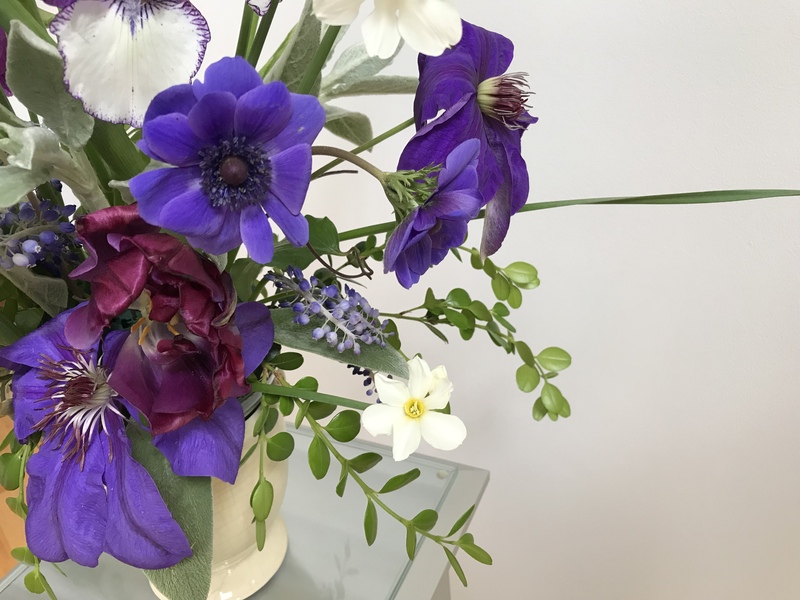 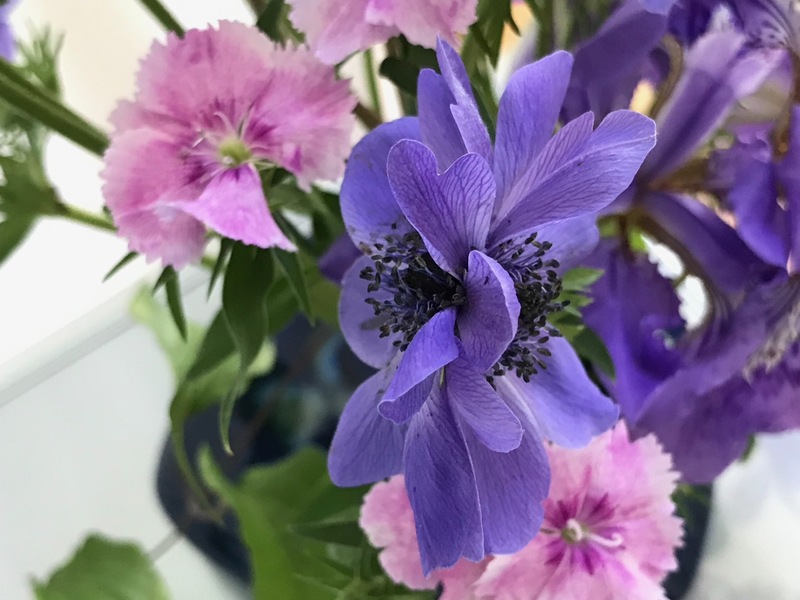 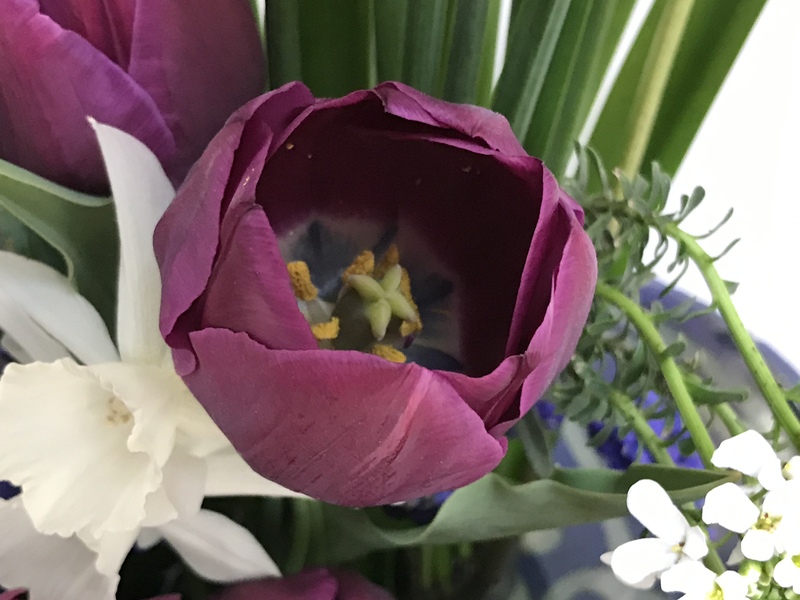 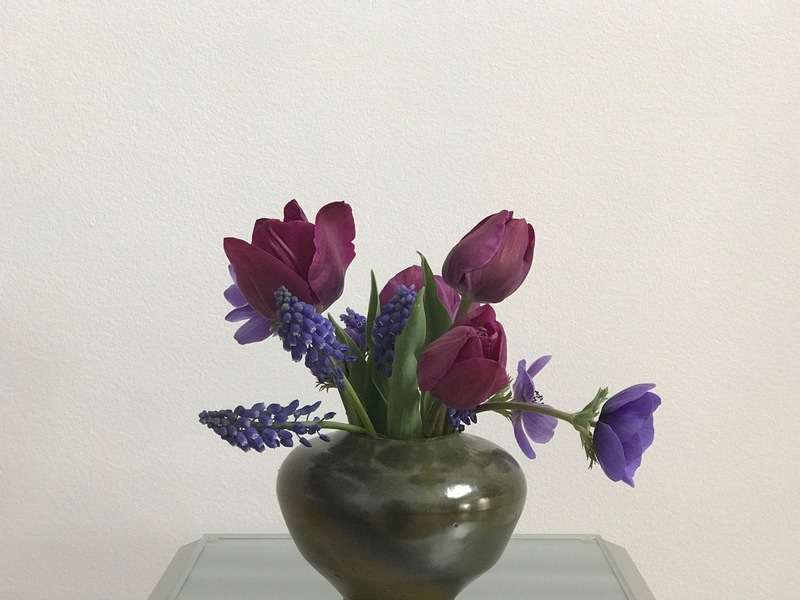 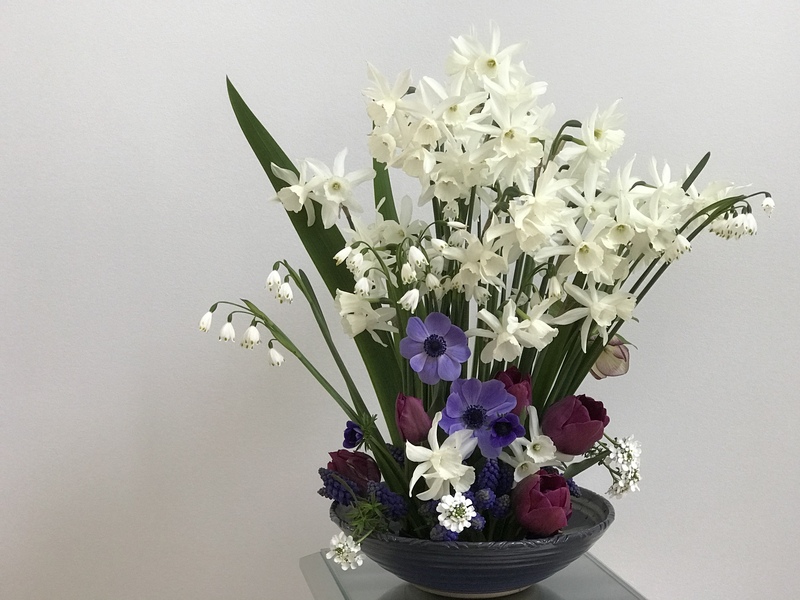 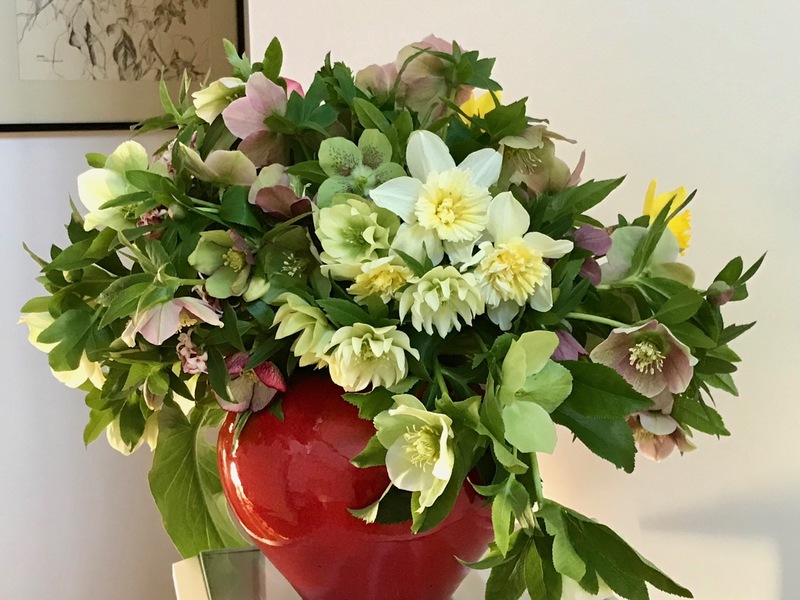 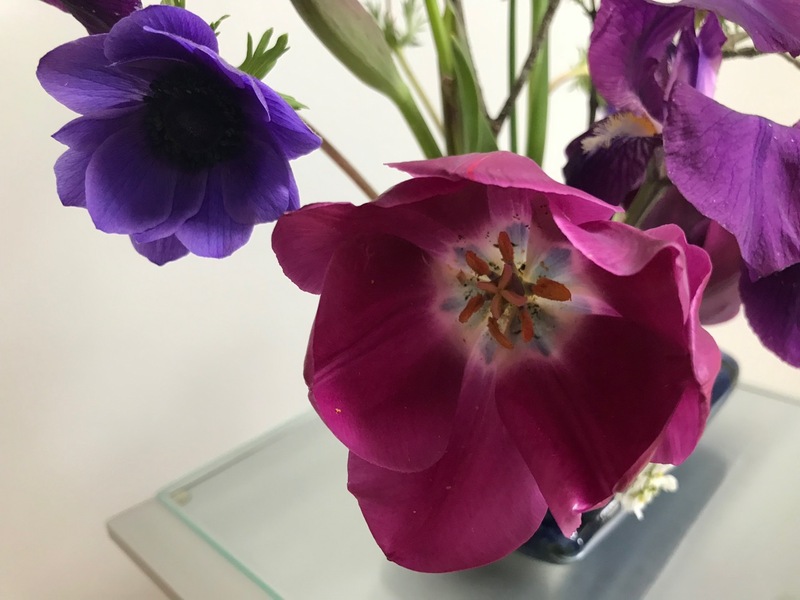 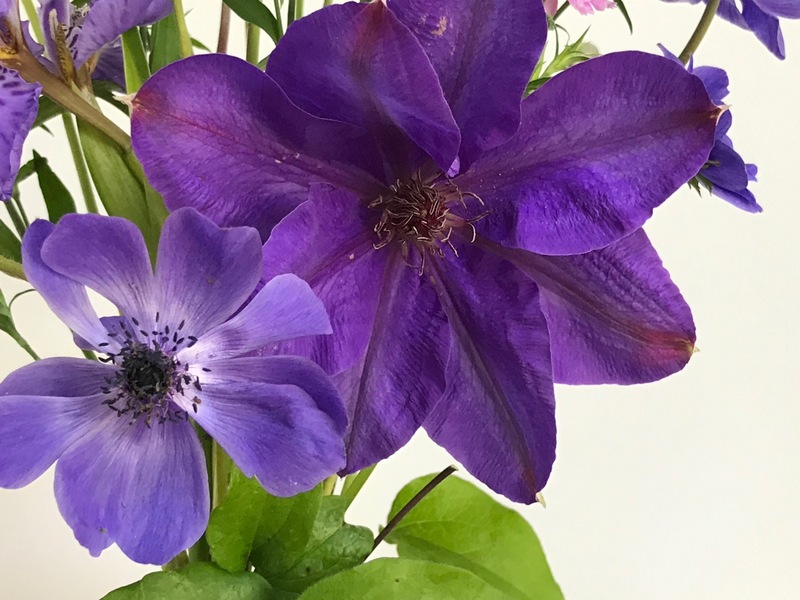 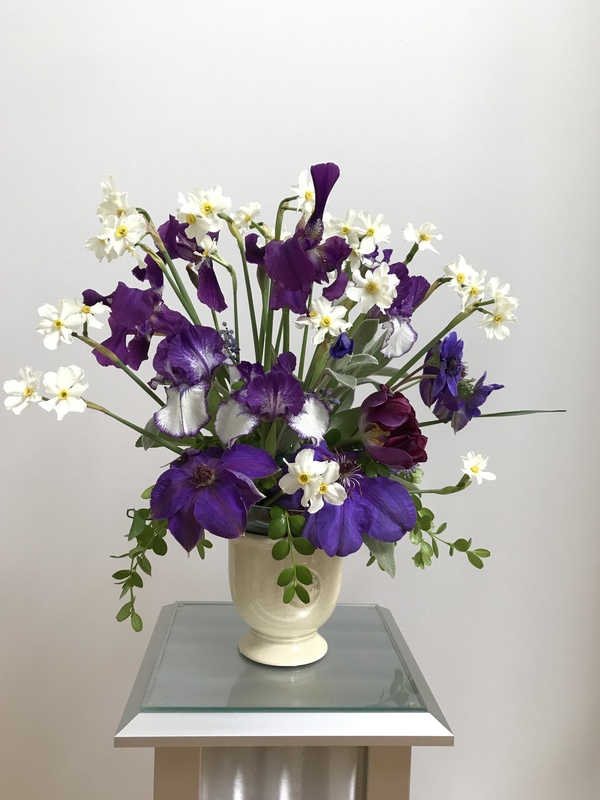 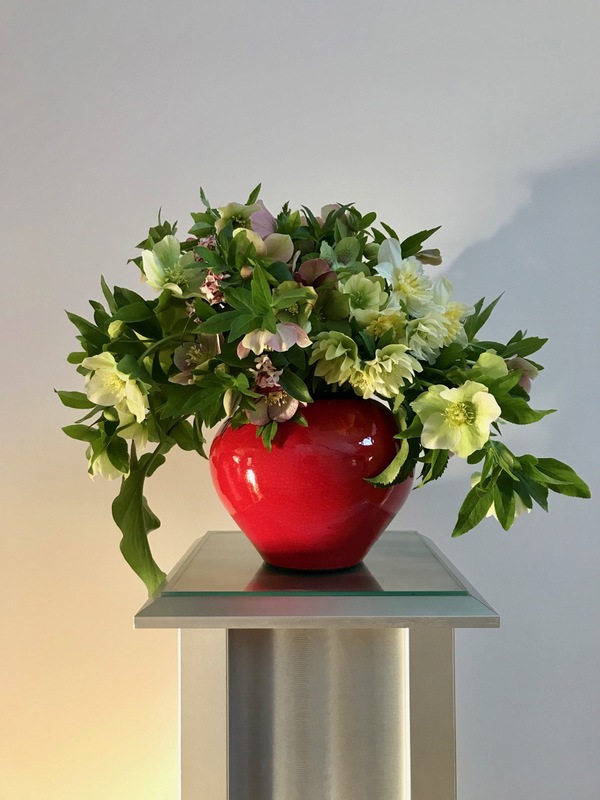 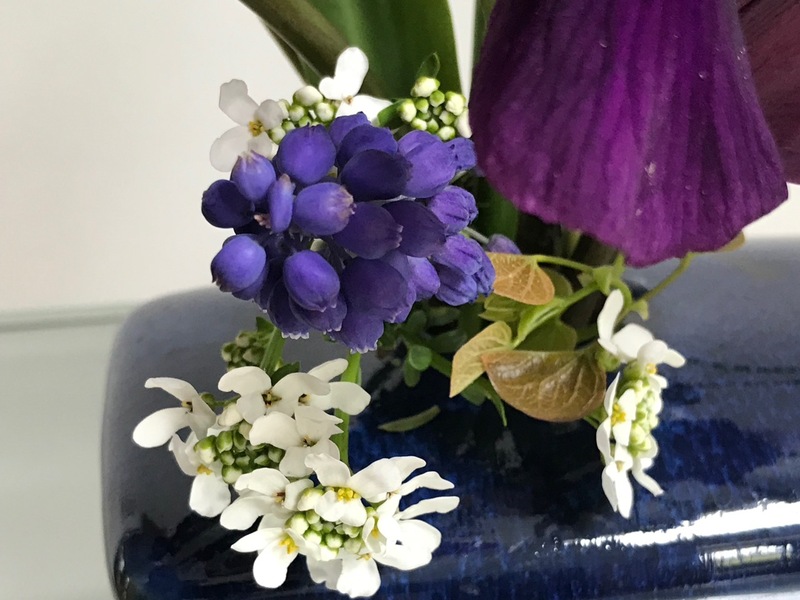 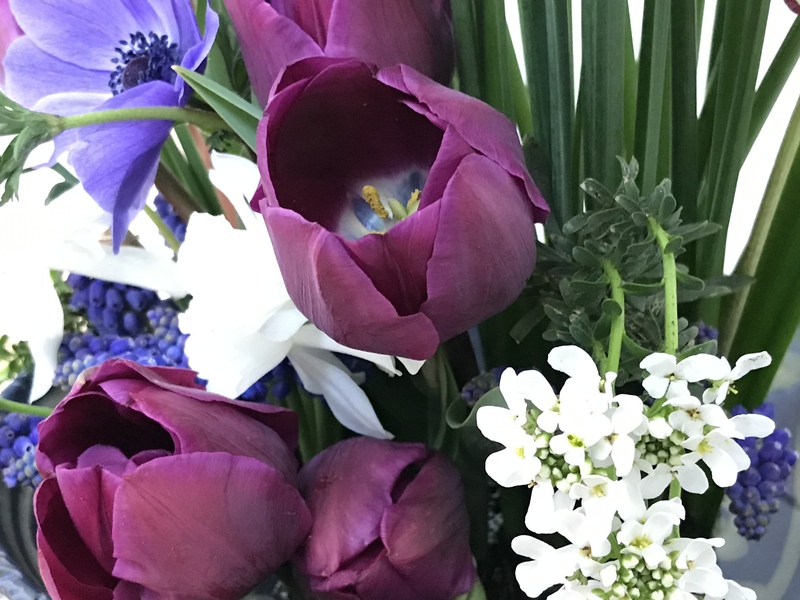 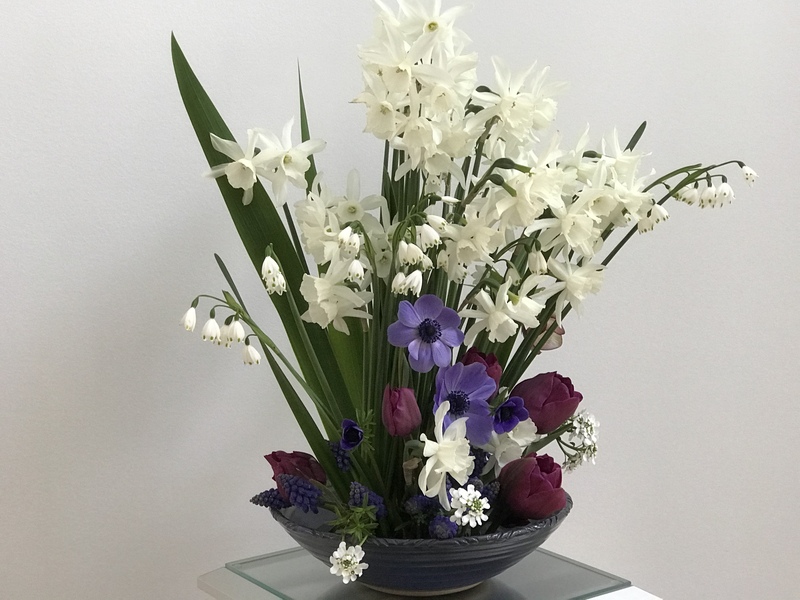 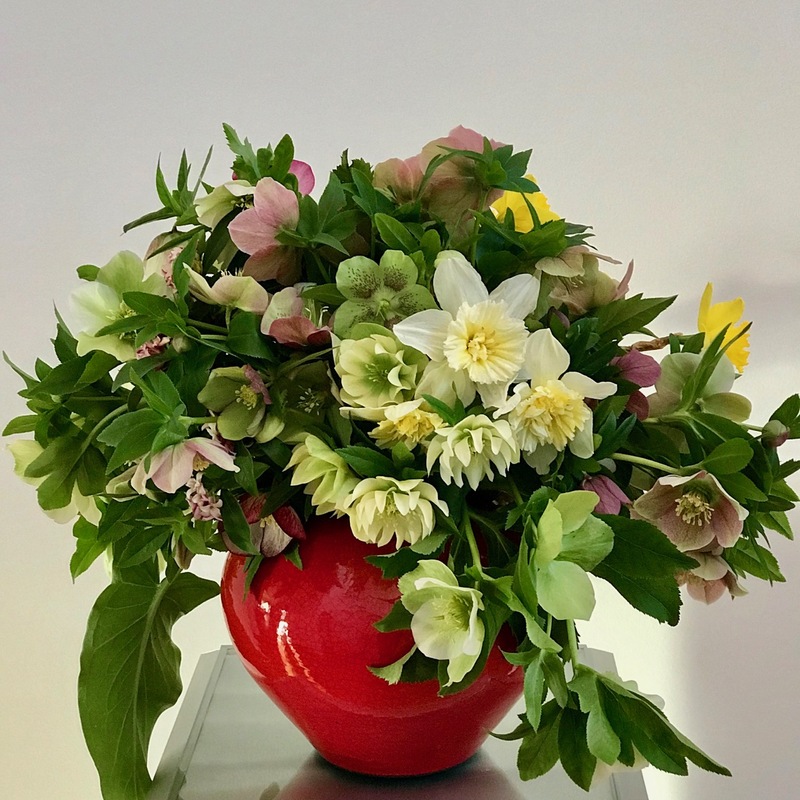 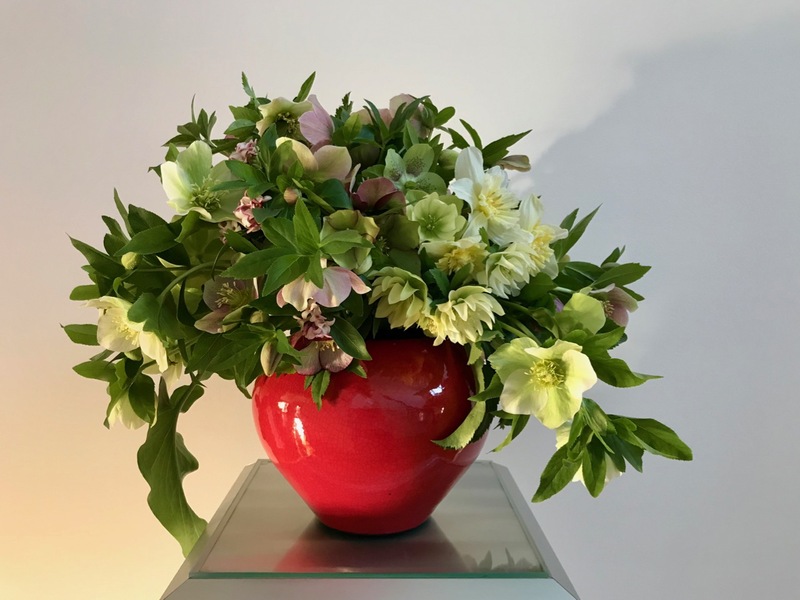 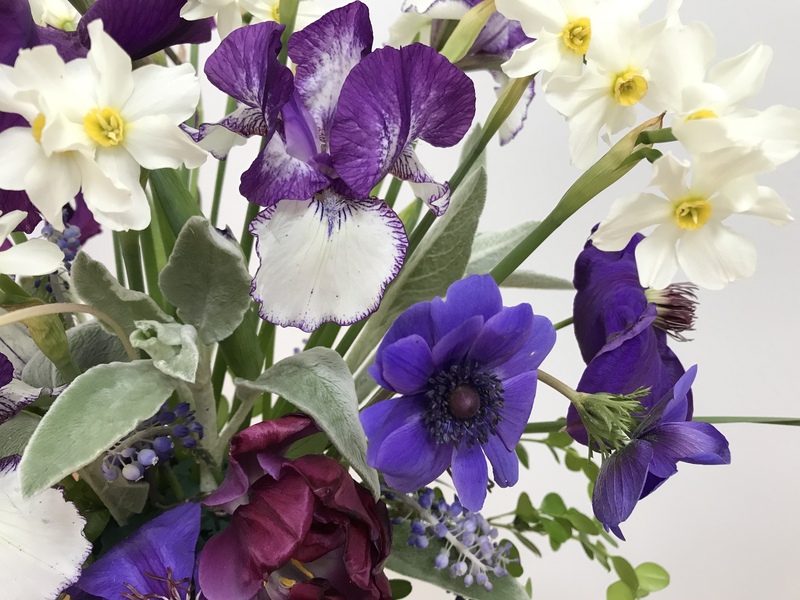 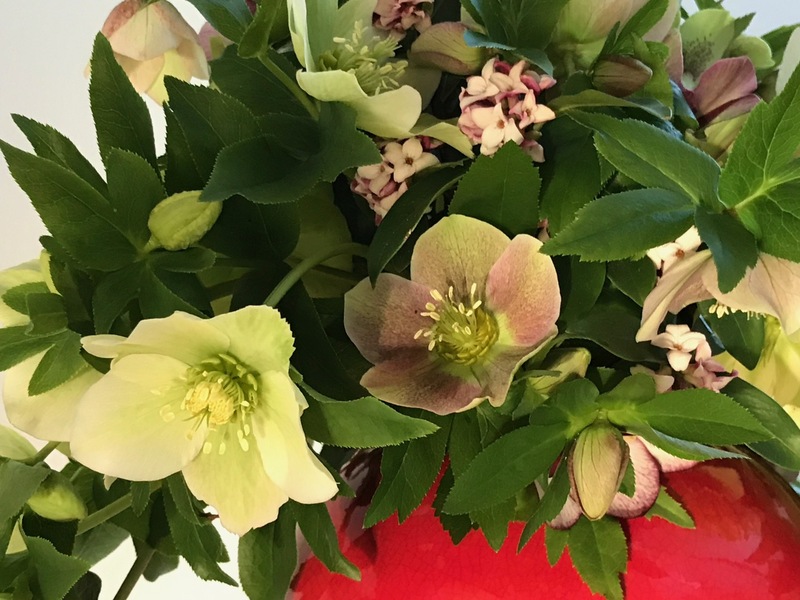 This entry was posted in garden and tagged 2019vase, Anemone coronaria ‘Mr. 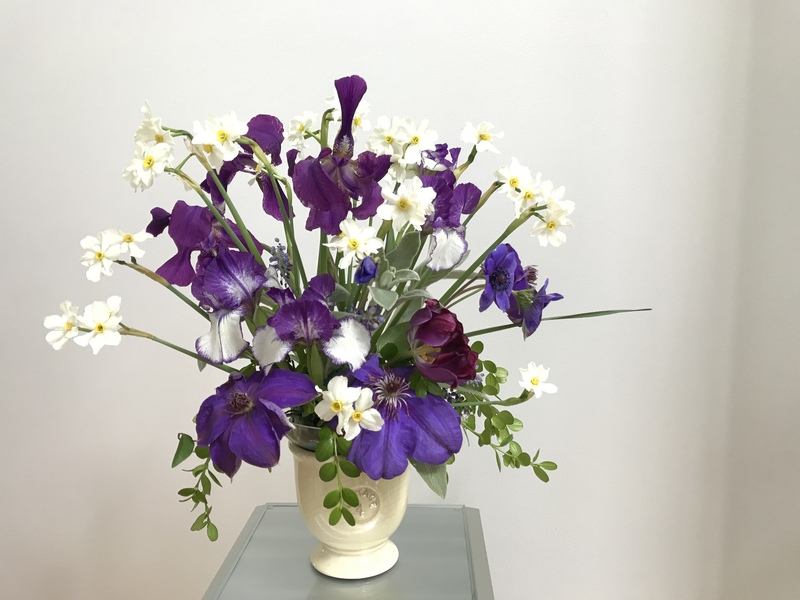 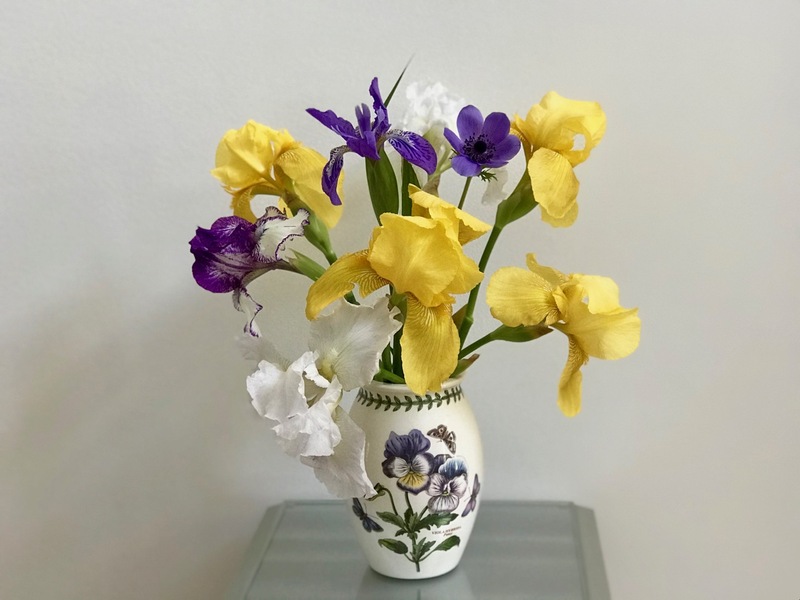 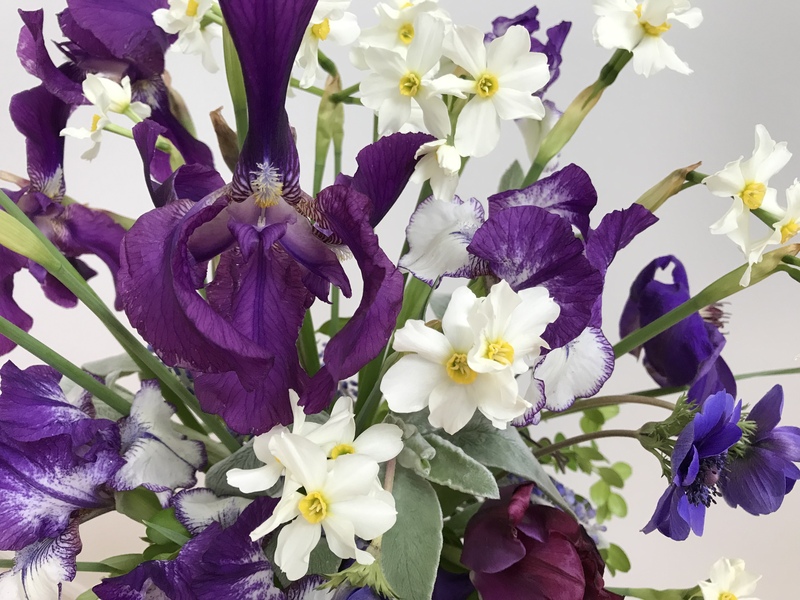 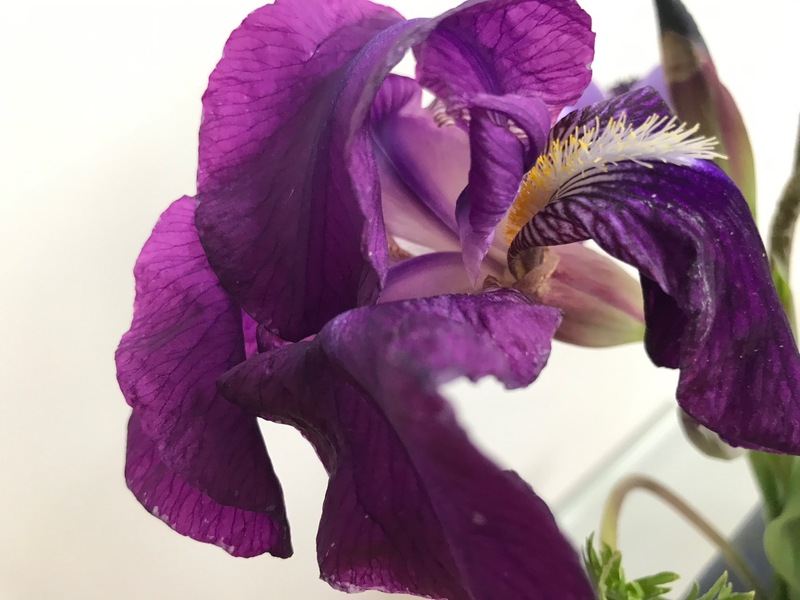 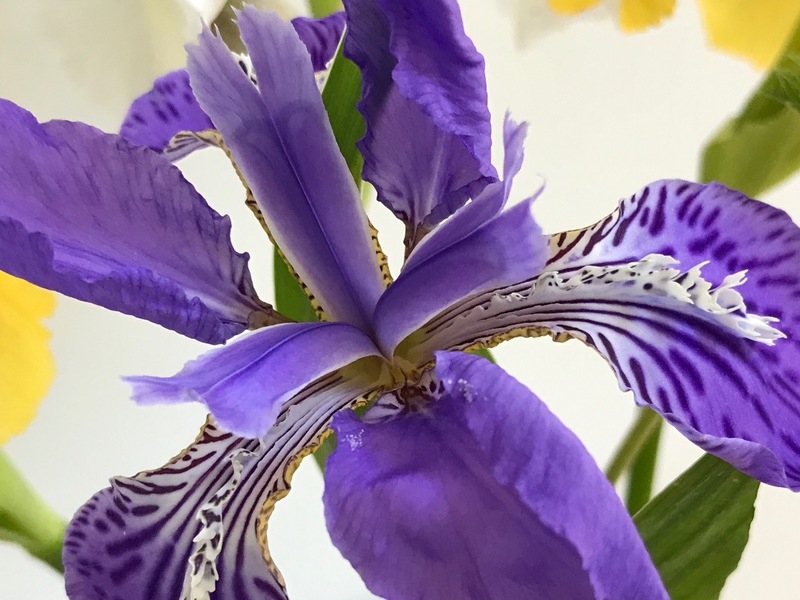 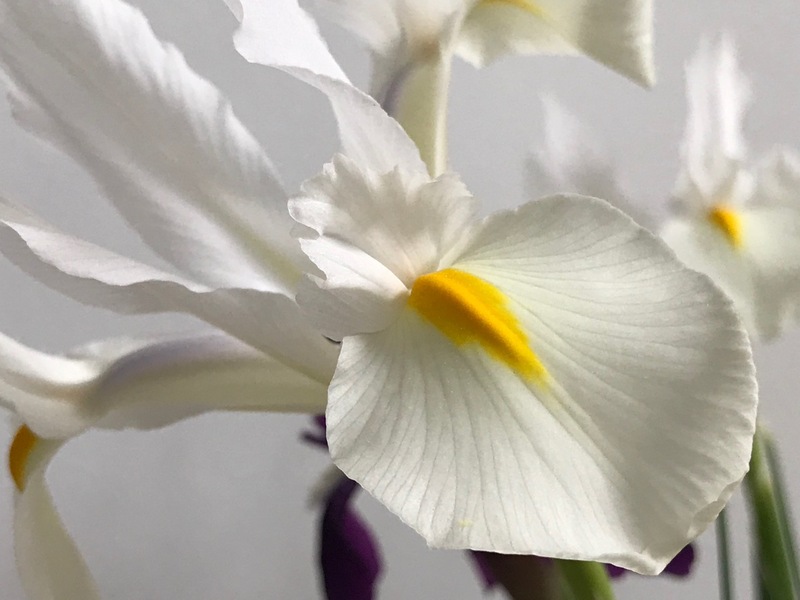 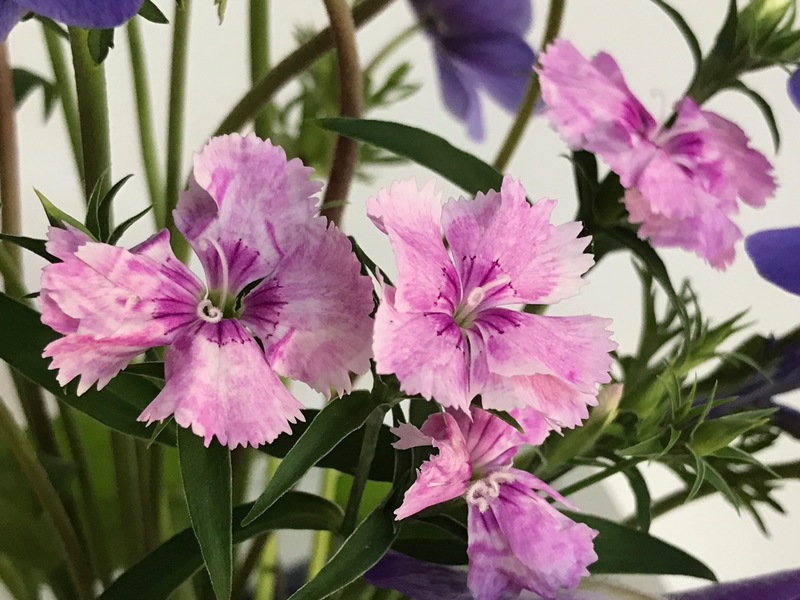 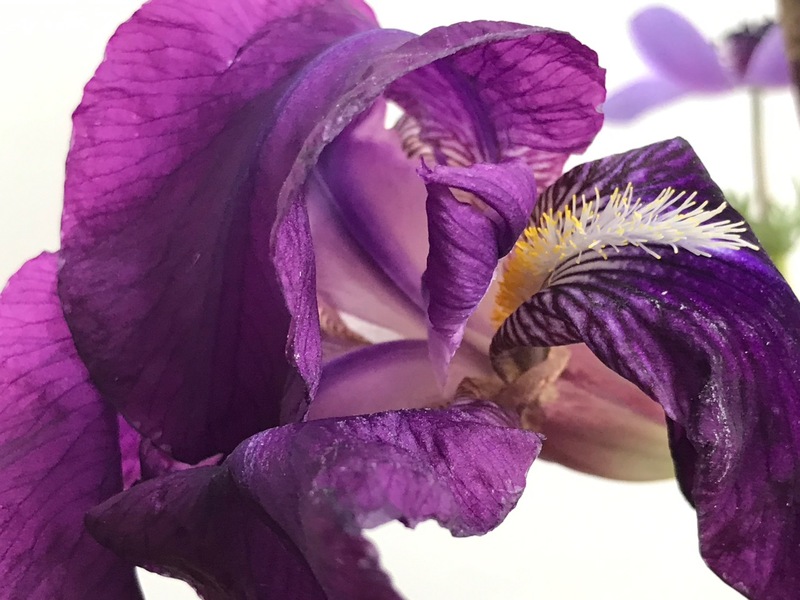 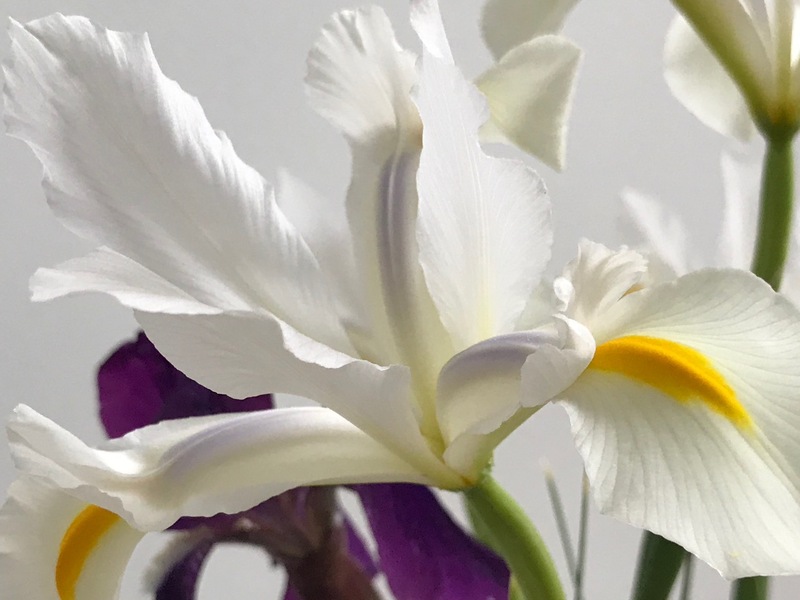 Fokker’, clematis jackmanii, Dianthus, flower design, in a vase on monday, Iris germanica (Bearded iris), Iris germanica ‘Orinoco Flow’, Iris tectorum (Japanese Roof Iris), pass-along plant on April 22, 2019 by pbmgarden.